Web hosting (in layman’s terms) is the service of providing storage space for a website or application on a server on the internet. Once your website is made available on the internet, it can be accessed by other computers connected to the internet. Web hosts are companies that rent out their services and technologies to host websites on the internet. Once the hosting company hosts your website, users can access it by typing in your web address (domain name) in their web browser. When they do this, their computer connects to the server your website is hosted on. The server in turn serves (sends the files you have stored on the storage to display) the website to your web visitor in their web browser. What kind of website do you plan to host online- a blog, an ecommerce portal, a news website, etc as this will determine how much web traffic you expect and how robust the infrastructure required to host your website, should be. What are the goals of your website? How fast do you see yourself expanding online business? How much hand-holding do you need? Control–is it important that you have root control of your server? Cost–how much are you either willing to spend or need to spend? How to know which web hosting provider to partner with? Uptime-Do they guarantee at least a 99% uptime? Where are their servers located? Customers-How many customers do they serve? In what locations do they have a presence? Support-Does the company offer 24X7 support with trained personnel to assist you? Mobile Access– Can you access your control panel from a device on the go? 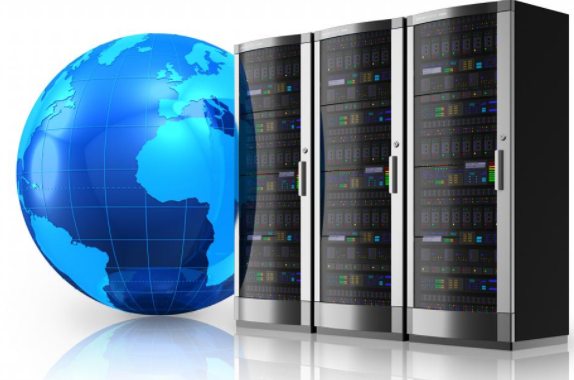 What are the web hosting options available? If you have a blog or a small business that is just starting out, Shared Hosting is a good option to start with. It’s the most affordable hosting option available as your server space is shared by other websites. It’s simple and easy-to-use. On the other hand, because you share space and resources with multiple other websites on the same server, an overload with another website will cause your website to slow down. You have minimal control over the server. If you have a WordPress blog or website, it is recommended that you purchase a WordPress hosting package as it is specifically optimized to cater to your WordPress website. If you want to get into the hosting business, purchasing Reseller Hosting enables you to rent out or re-sell the same hosting services provided by the parent hosting company. With Reseller Hosting, you can also upsell every other web service offered by the parent web host. Dedicated hosting gives you complete/administrative control of your server with full root access. You can choose to install any software you wish to. You can think of VPS hosting as a higher, stronger more advanced form of shared hosting. While you do share a server with other websites, you are assigned resources that are not shared with the other properties. If you cannot afford a dedicated server, VPS is the way to go. We hope we’ve given you a basic understanding of what web hosting is and how it works. We at ResellerClub have been serving over 200,000 web professionals for over 10 years with several web hosting services and allied products. Give us a try!